Gil Amelio is named CEO of Apple Computer, replacing Michael Spindler. 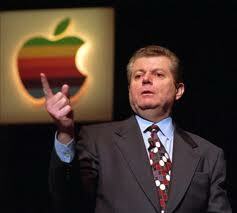 He orchestrated the purchase of NeXT, the company which Steve Jobs founded after leaving Apple in 1985. Steve Jobs was brought on as a consultant to Apple and after a series of events, Gil Amelio was fired after 499 days on the job. Steve Jobs soon replaced him and has led Apple back into profitability with its iMac and G3 machines.